The following publications prepared by the Department are available to the public free of charge or at a cost. The contents can be viewed by clicking the picture of the publication. Valuation List and Government Rent Roll. 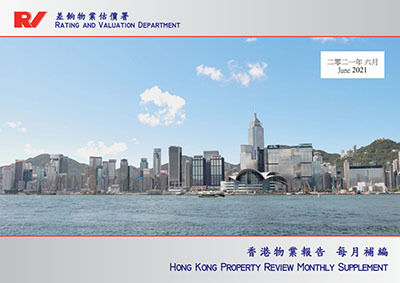 The content covered main events concerning rating in Hong Kong, as well as certain events mainly about Hong Kong, and some others which affected Hong Kong or attracted its attention. 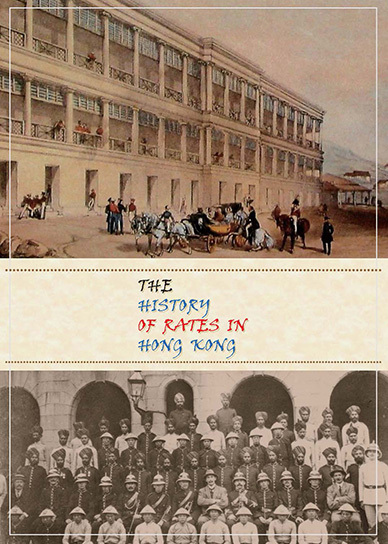 This book traces the origin of rates, the early and on-going development of the rating system. At $228 per copy, the book can be purchased from the Publications Sales Unit of the Information Services Department (ISD) at 2537 1910. 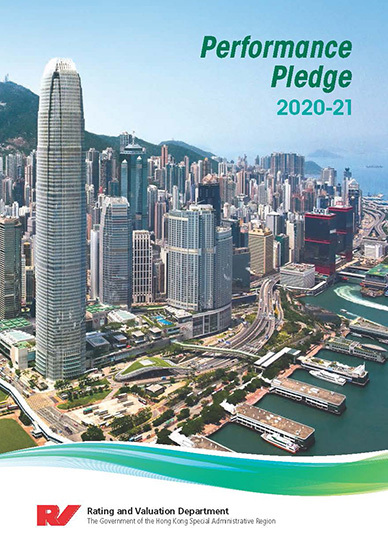 You can also download the order form from the ISD website at www.isd.gov.hk/eng/bookorder.htm and submit it by fax to 2523 7195 or by e-mail at puborder@isd.gov.hk. 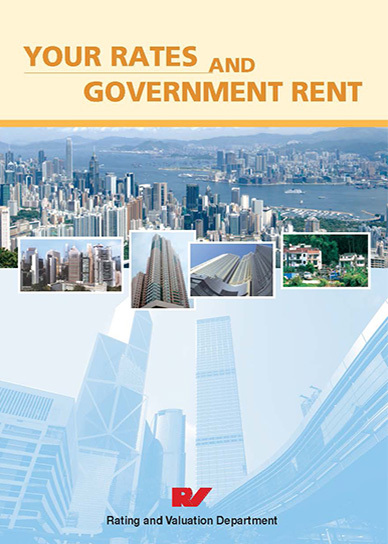 This book covers all facets of property rates and Government rent assessment, collection and administration, and is intended to be a reference for those wishing to learn more about rating valuation in general and the Hong Kong rating system in particular. At $246 per copy, the book can be purchased from the Publications Sales Unit of the Information Services Department (ISD) at 2537 1910. 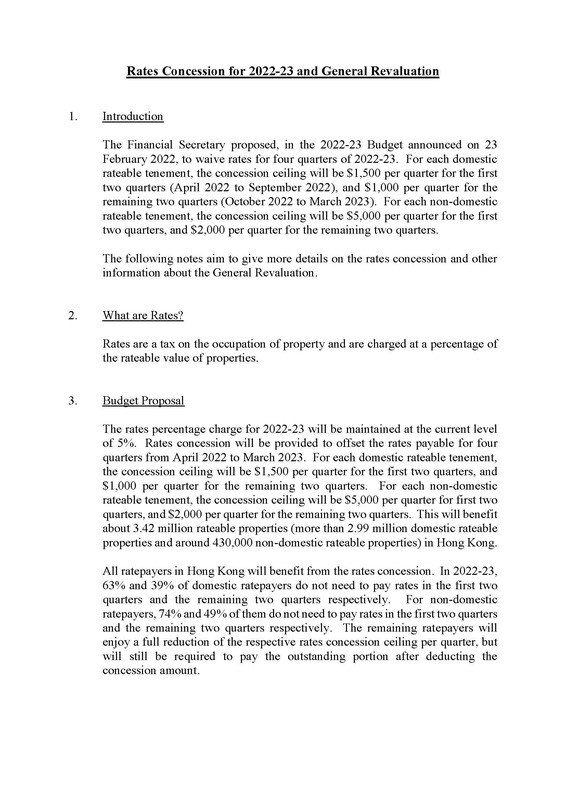 You can also download the order form from the ISD website at www.isd.gov.hk/eng/bookorder.htm and submit it by fax to 2523 7195 or by e-mail at puborder@isd.gov.hk. 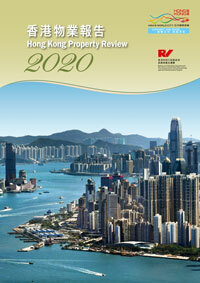 This is an annual publication reviewing the state of property market in the previous calendar year. It contains information and statistical data on stock, completions, take-up, vacancy, forecast completions in the coming two years, average rents, prices and indices for each main property type. Please click the picture of the publication to download its content. rates and/or Government rent accounts. 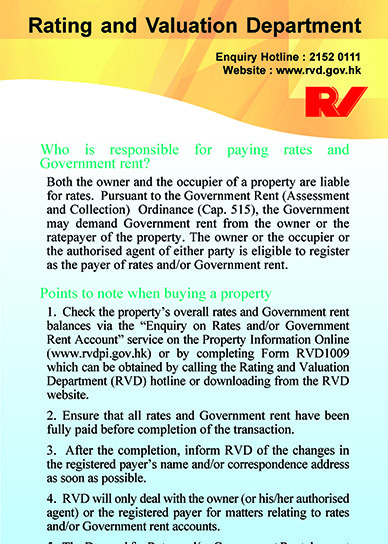 Please click here (pdf) to access the leaflet of Property Information Online. 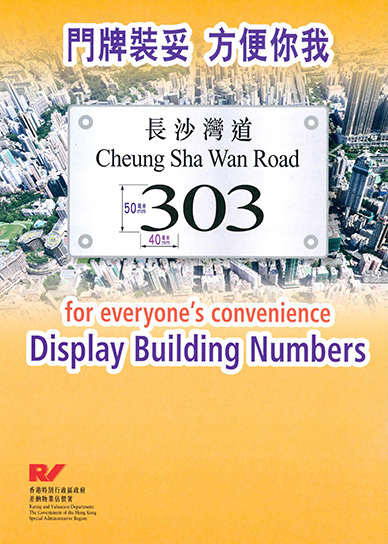 “Names of Buildings” is updated quarterly to include names, addresses and years of completions of buildings in Hong Kong. The building list is by no means exhaustive but every effort has been made to ensure accuracy of this publication. Please click the links to download the publication. If you want to conduct a quick & comprehensive search in pdf file by using Chinese building/street name, please press Ctrl + Shift + F to activate the advanced search function. If you are not using Internet Explorer, you may download and save the publication, use Adobe Reader to open the file and activate the advanced search function.